Attic staging is typically a much neglected aspect of preparing a property for sale in even the most luxurious homes. Attics are often unfinished, presenting some real challenges for home stagers. However, it is always possible to enhance any attic space to make it more functional and attractive, even if it does not add actual livable square footage to the home. This treatise examines some easy and highly effectual methods of staging any attic space for maximum investment value. Staging an attic is easy to do if the space is finished with walls and a floor. 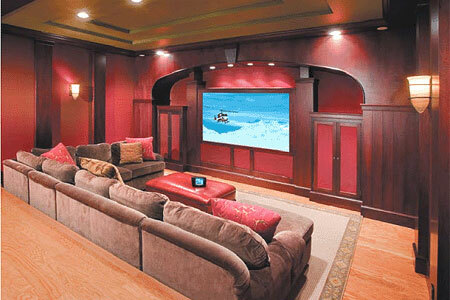 In this case, the space can be easily staged as a home theater, extra bedroom, home office or other useful application. For unfinished or semi-finished attics, I generally recommend staging them as organized storage areas. For truly horrific attics, the space can at least be improved with a real cleanup and maybe adding some drywall or a solid floor. Above all else, even in unfinished spaces, make sure that any ductwork, electrical connections and other utility related fixtures are clean and in good repair. Finished attics with an easily accessible stairway are the perfect location for many amenities, such as a home office, guest bedroom, home gym or media room. Even if the attic is not generally used, simply staging it as a defined purpose will provide prospective buyers with an idea how they can utilize the space, making the room more valuable. The best part about staging is that the fixtures simply have to look good rather than be fully functional. This can make staging an office or media room far less expensive, since you can buy or rent mock electronics, rather than invest in the real deal at a higher cost. Not all attics can be staged successfully as a separate room or rooms. However, all attics can be improved to assist the marketability of the property and make them less of a liability for future home buyers. Simple fixes like basic drywall and flooring can be very cheap and easy as a DIY staging project and can add huge value to the home. If you have an unfinished, but accessible attic space, this is a terrific opportunity to add increased equity in your home using proven home staging techniques. 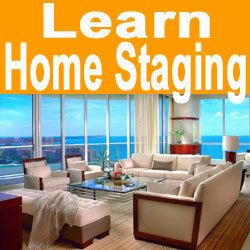 For additional information about staging your attic to sell, contact a home stager or real estate staging consultant.